Clark Solutions supplies a wide variety of pumps for liquid and gas applications. 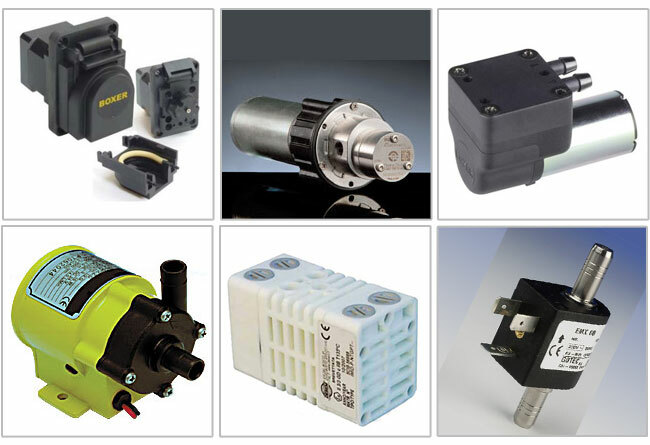 We offer peristaltic, diaphragm, piston, miniature piston pump, impeller, rotary vane, centrifugal and gear pumps. These pumps are matched with a variety of motors and drive packages depending on the customer’s requirements. Applications include fluid transfers, dispensing, batching, handheld analyzers, sampling, medical devices, automation products, for both pressure and/or vacuum service.